I am a teacher who has relied on Bosch and Dremel tools for design, repairs,and small construction for years both at home and in the classroom. Their products are perfect for my students due to their portability,durability and ease of use . 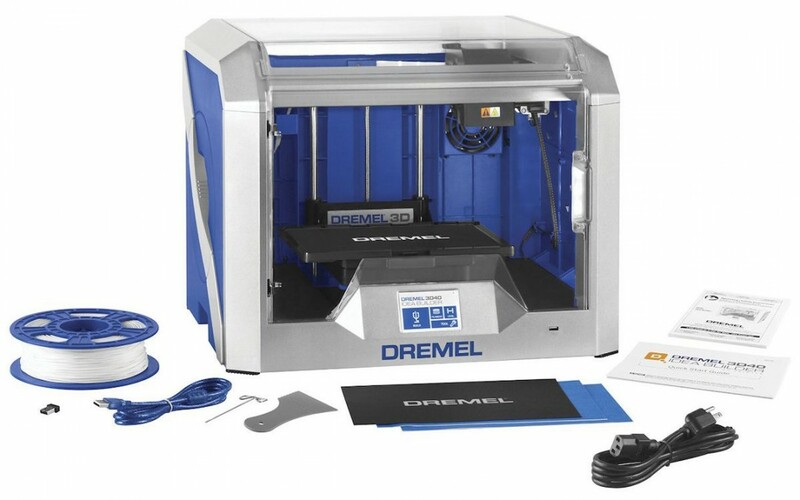 I was quite familiar with Dremel rotary tools and awesome saws but when I was looking for a 3D printer for my classroom I never thought I would find one in the Dremel arsenal. I was on a mission to find a grant to find a good 3D printer for my classroom . My budget was already filled so I checked out the several 3D printer websites and sent a message asking if I could be granted one of their printers, a long shot I know. In the meantime,Dremel/ Bosch was the only company to reply. I went to my go to 3D printing Nerd http://3dprintingnerd.net on YouTube and saw that these relatively very inexpensive, printers were highly rated. I soon received an email from the education rep at Dremel Bosch that did not grant me the printer but would allow me to contract use of the printer for 30 days with the option to buy. I took them up on that offer and am I ever glad I did. The amazing 3D40 Idea Builder arrived at the end of May and took us about 15 minutes to unbox and under 10 minutes to set up including installing filament , leveling and starting our first print with the aid of the brief and easy to follow instruction manual. The 3D40 package included a large spool of filament which we mounted inside the printer. The leveling is done both manually and electronically with onscreen instructions in the small front digital display.A “beep” indicates the level for each side is correct. Also included is a USB drive and Card with several models included on them. We marveled at the smoothness of the PLA first print of a small chess rook whose design was taken from the USB drive. 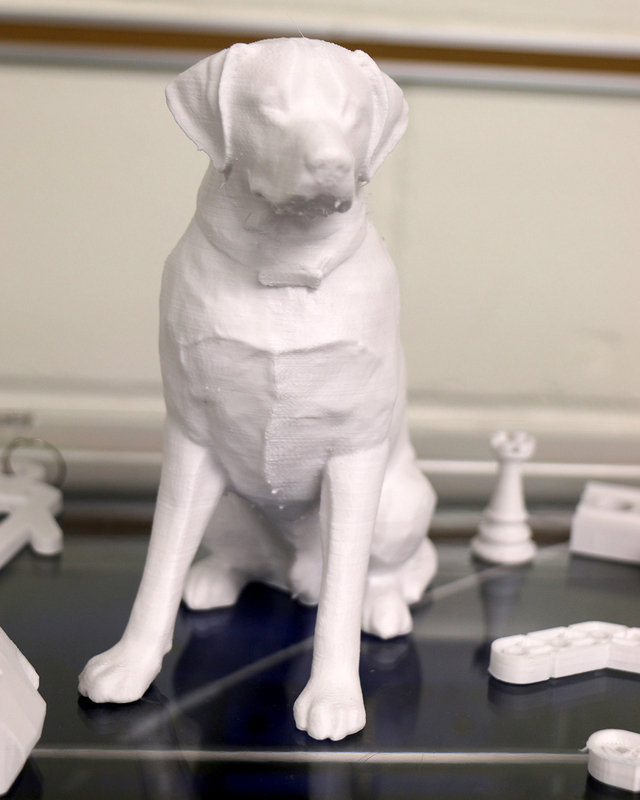 By the end of the day we had printed out a medium sized SD Card storage device and the next day, a large model of a Labrador Retriever. “Bowie” created in a 3rd party program called Sculptris and exported for print on the Dremel via the included Autodesk’s Print Studio Software. It is another amazing bonus that Autodesk is paired up with Dremel 3D. All of the prints are came out beautifully and fast. Another bonus of the Dremel 3D40 is its expedient accuracy. If a print says it will take a certain number of hours to print subtract one. So far, we have had the printer also comes with two blue print bed sheets (I have used the same one over twenty times), an extruder cleaning rod and a scraper to help remove items from the bed. A few people have said that they broke the scraper after the first few uses but if you are firm but careful it will keep on working for you. So far over the past 2 weeks we have printed 10+ small parts for robotics and several other objects of varying complexity and still have not run out of filament. The printer runs all day, every day and I have only had to clean the extruder once. There is even an app for the Dremel which works very well along with the software and cloud option on the Dremel Idea Builder site. I could print remotely once having registered and linked the printer to my account. Oh, and the support is wonderful-24/7 access and you can even Skype a support person! My students are so excited, they are already planning things they will design and make when they come back to school in the Fall. I am so in love with this printer. I would highly recommend the 3D20, only $1299.00( which can also be purchased at Home Depot) or 3D40 with their close to foolproof setup and maintenance for classroom use for any age. And did I mention how inexpensive these printers are? Within about 10 minutes we were up and running a test print of this chess piece that was included ion both the SD card and the USB drive that is included with the printer. The print was faster than the estimated time, which the printer software and printer projects on its little screen and came out extremely clean.we were so impressed. You can hear how quiet this printer is as it renders this SD card holder. Notice the triangular pattern of the structure of the object which makes the Dremel prints so tight and accurate. Bowie was sculpted in the free program, Sculptris, by the creators of Z-Brush. 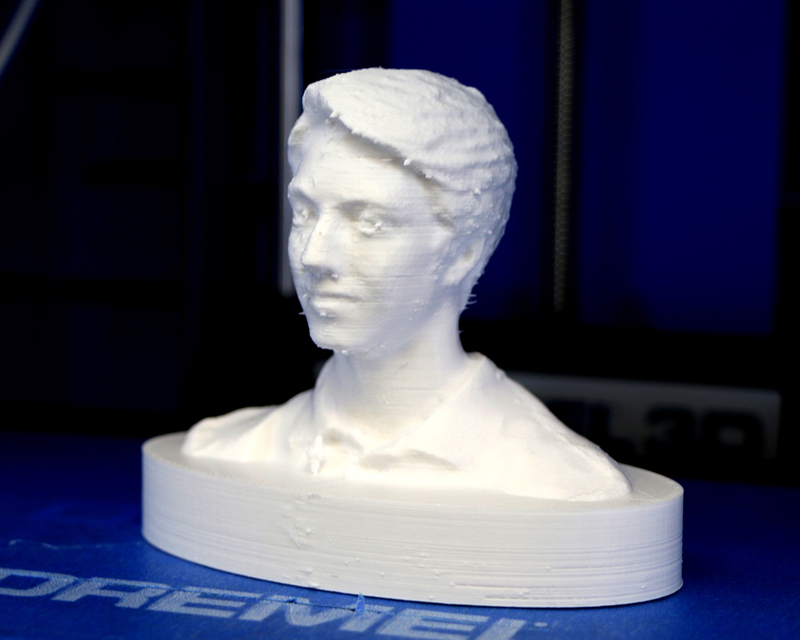 It was then exported as an .stl to Print Studio, the software that is included with the DREMEL and which is created by AutoDesk. AutoDesk pairing up with Dremel Bosch is indeed a bonus as it has tools that can translate designs made in almost any other program or format. Aria was created using AutoDesk’s awesome 123D Catch which allows you to use virtually any camera to take up to 70 photos around your subject and upload them to the cloud where they are translated into a 3D image for you to tweak and export as a 3D print to the Dremel.